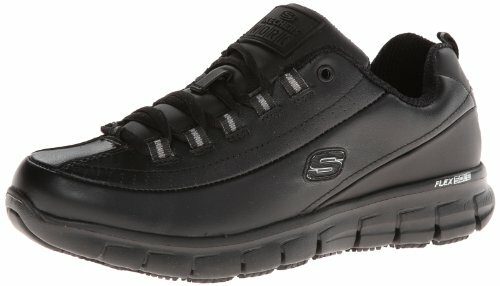 Feel surefooted and self-assured with the reliable comfort and traction of the Skechers Work Ghenter - Bronaugh work shoe. 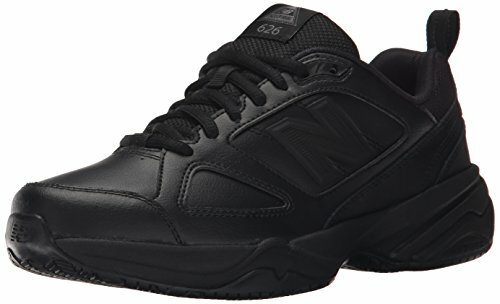 Casual work sneaker features the Relaxed Fit design for a roomier, more comfortable fit and Memory Foam cushioning. Style number: 77210. Sporty mesh fabric upper with grid underlay and a smooth synthetic overlay at laces for added durability. Upper features a water and stain-resistant design and Scotchgard protection. Traditional lace-up system for a secure fit. Padded collar and tongue for added comfort. Signature stitching accents and side S logo. Rubber toe guard provides added protection against abrasions. Heel panel fabric overlay with pull on top tab. Side gore panels for excellent flexibility and easy on and off. Soft fabric lining offers added comfort. 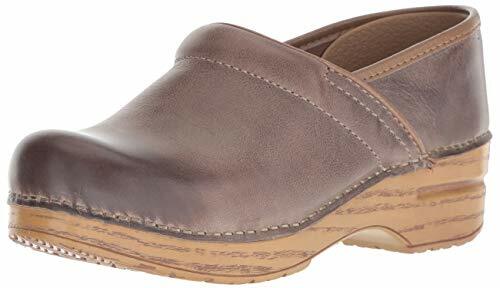 Comfortable footbed with Memory Foam cushioning for incredible all-day cushioned comfort. Flexible, lightweight midsole provides excellent shock absorption. Flexible rubber slip-resistant outsole provides excellent traction. EH Safe rated ASTM F2413-05. Sole tested with ASTM F1677-96 Mark II standards to meet or exceed a .5 coefficient even on wet and oily surfaces. Imported. Measurements: Weight: 7 oz Product measurements were taken using size 8, width B - Medium. Please note that measurements may vary by size. Weight of footwear is based on a single item, not a pair. 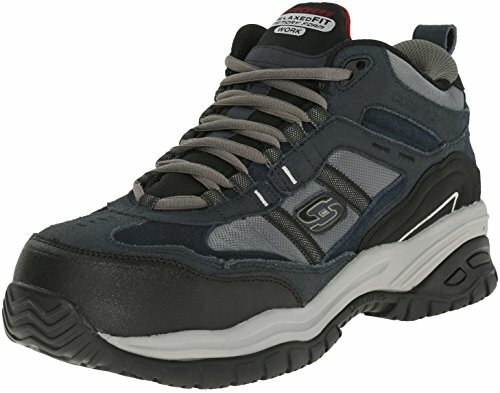 Feel surefooted and self-assured with the reliable comfort and traction of the Skechers Work Ghenter - Bronaugh work shoe. 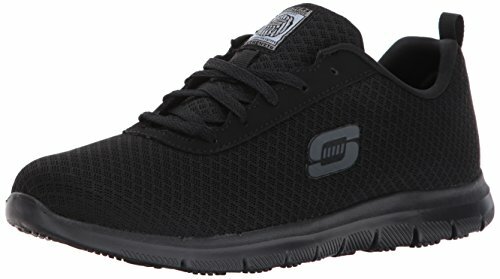 Skechers is the brand for stylish shoes that feel great and perform even better. 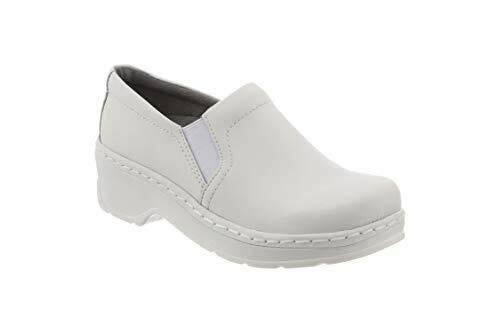 These Women's Sure Track Trickel Shoes are made with smooth solid leather and feature a lace-up casual work shoe design. 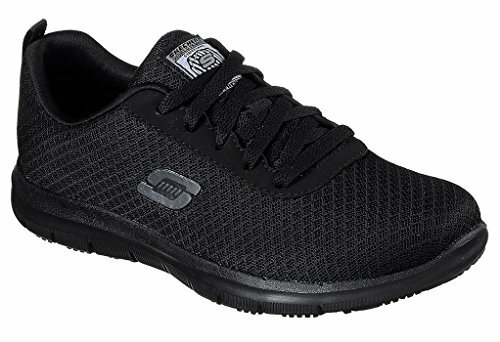 These rugged work shoes also feature side mini perforated panels for cooling effect, Memory Foam topped cushioned removable comfort insoles, and FlexSole shock absorbing flexible lightweight midsoles for top-notch comfort and durability. 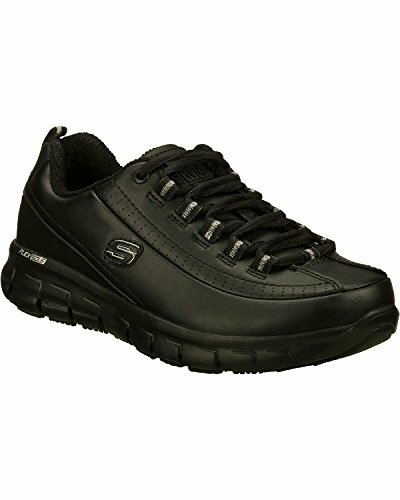 You can work with confidence in these Skechers shoes. 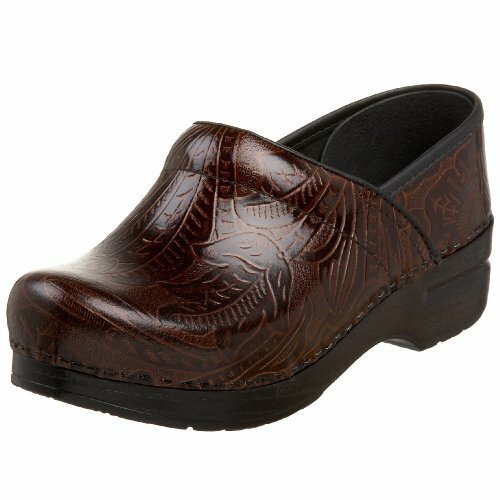 If you spend long hours on your feet, you have to pick up a pair from Dansko's Professional Clog collection. Each has a polyurethane rocker-bottom sole, designed to protect the feet, legs, and back from the stress of standing or walking, and to propel the foot forward, helping you stay on the move. 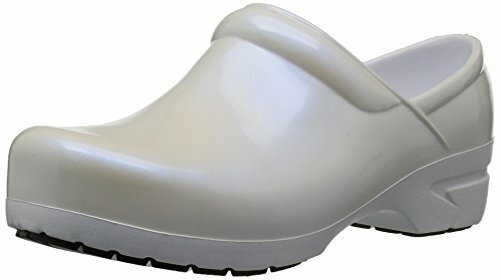 Classic clog design which is lightweight and flexible. Fully molded material for supreme comfort anatomical footbed designed to perfectly match the foot shape. 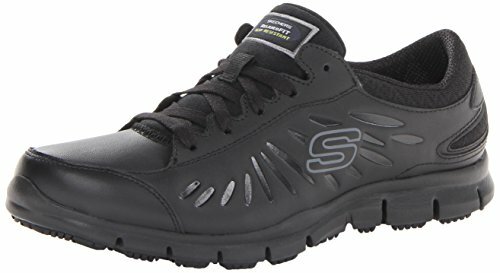 Stay comfortable and steady on your feet all day long with the reliable durability and cushioned support of the Skechers Work Soft Stride Canopy shoe. 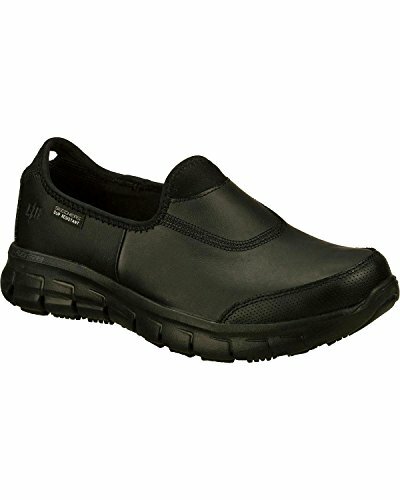 Sporty work shoe features the Relaxed Fit design for a roomier, more comfortable fit and Memory Foam cushioning. 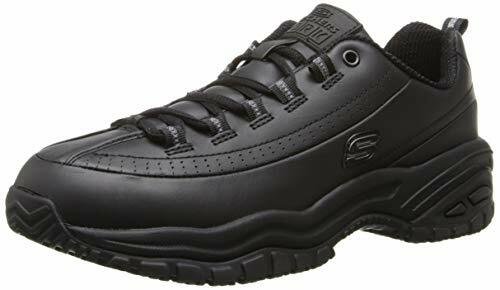 Lace-up sporty casual work sneaker with a composite safety toe and excellent slip resistance. Lightly textured durable leather and textile upper. Scuff resistant leather with lightly distressed feel Woven cordura mesh side panels for cooling effect and better breathability. Relaxed Fit design for a roomier, more comfortable fit. Stitching accents throughout shoe. Signature side S logo. Traditional lace-up system for a secure fit. Soft fabric lining provides excellent breathability. Cushioned footbed with memory foam for all-day comfort. Shock-absorbing midsole provides comfortable support. Layered ceramic and durable fabric safety toe is nonmetallic. 1 3/4 inch built in heel. OSHA-compliant nitrile rubber outsole offers excellent slip resistance. Slip-resistant outsole is oil resistant and chemical resistant. Comp safety toe tested ASTM F2412-2011 I/75 C/75 safe. Electrical Hazard (EH) Safe design and EH Safe tested ASTM F2413-05. Sole tested using ASTM F1677-96 Mark II standards to meet or exceed a .5 coefficient even on wet and oily surfaces Imported. Measurements: Heel Height: 1 1 2 in Weight: 1 lb 7 oz Platform Height: 1 2 in Product measurements were taken using size 11, width D - Medium. Please note that measurements may vary by size. Weight of footwear is based on a single item, not a pair. 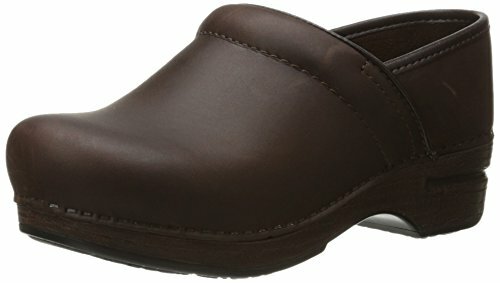 Get a tremendous value with Natural Uniforms Nursing Shoes! Light weight shoes made of EVA foam. 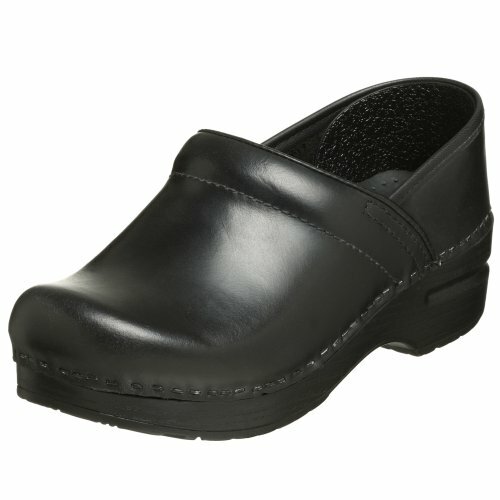 Perfect for health care, restaurant, food service, clinic, hospital, retail and other demanding 'on your feet' work. Great for home use with kitchen and gardening an 'anytime' inside or outside shoe. Adjustable heel strap. Enclosed toe design protects foot from spills and liquids. No fabric or leather, so it's easy to clean and quick to dry. Light weight, durable 100% EVA foam provides exceptional comfort throughout the day. Safe, non-toxic synthetic is BPA-free. Slip resistant, non-marking, shock dispersion sole. Non-slip is ISO certified. Anti-microbial, bacteria resistant. Roomy reinforced toe box allows toes to move comfortably with plenty of wiggle room. Feel that you are in control of your day and ready to conquer any task that comes your way in practical comfort. Low-cut design with SKECHERS Relaxed Fit has a generous silhouette that accommodates your feet for a custom fit. Traditional lace-up closure for an adjustable and custom fit. Supple leather upper. Padded tongue and collar for added protection and support. Ventilated lining for ultimate comfort. 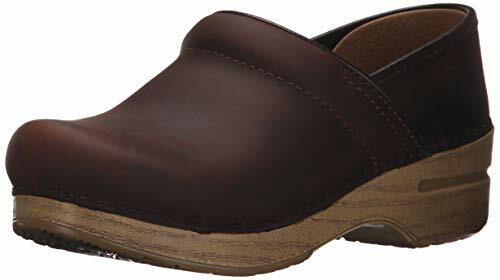 Memory foam cushioned removable footbed for all-day comfort. Shock-absorbing midsole. Pull tab at the heel for easy on and off . Slip-Resistant nitrile rubber traction outsole. EH Safe rated ASTM F2413-05. Slip Resistant sole tested with ASTM F1677-96 Mark II standards to meet or exceed a .5 coefficient even on wet and oily surfaces. Imported. Measurements: Weight: 11 oz Product measurements were taken using size 9, width B - Medium. Please note that measurements may vary by size. Weight of footwear is based on a single item, not a pair. 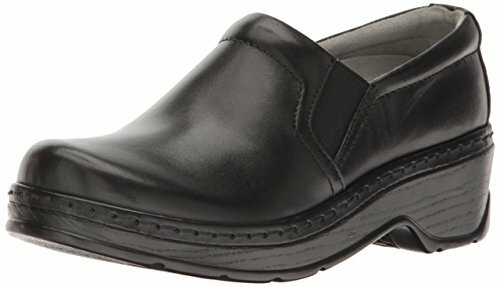 For long days on the job, you'll love the Skechers Work Women's Softie Athletic Shoe. Designed with a slip-resistant outsole to keep you steady as you walk, this sporty sneaker offers great all-day comfort. The breathable leather upper laces up to fit, and the removable, contoured insole delivers a soft, cushioned step. For the industrial worker who is on their feet all day, the 626v2 sports a full Ethylene vinyl acetate footbed, abzorb heel crash pad and astm 2913-11 certified slip resistance to be the comfort shoe of choice for the american worker that allows you to focus on your job, not your shoes.